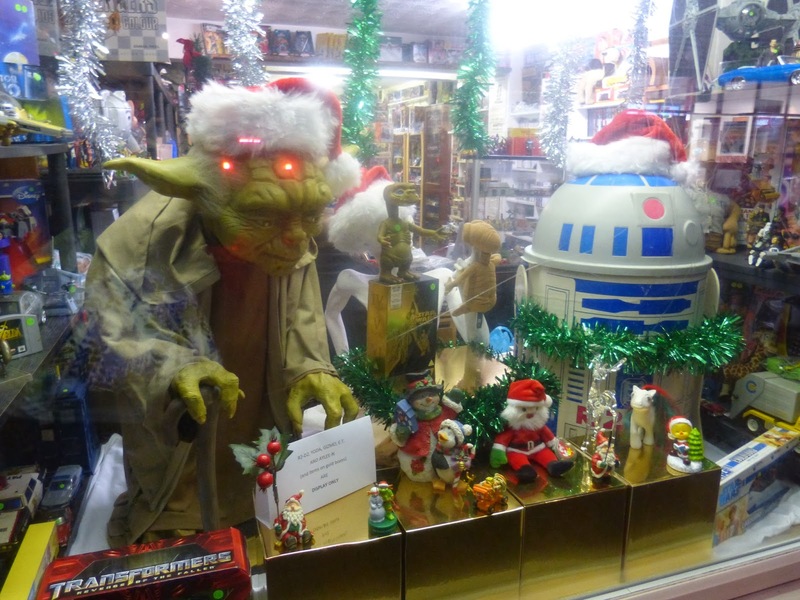 In which I stroll around Tunbridge Wells at night looking for the magic of Christmas displayed in the shop windows of Independent Retailers. This has to be the maddest toy shop in town. But I am not sure that toy shop is the correct title. Should it be termed a Collector of Childhood Shop, or a Vintage Vehicles Emporium or maybe Big Boys Bolthole? For this is a shop for little boys and grown-up boys. For those who want to stay with their childhood ,who may just want to own the toy again that they loved to death and it disappeared in the detritus of growing up and leaving home. Here you can find toys preserved forever in their original packaging. Cars and trucks that still have their wheels and their paintwork is not chipped. 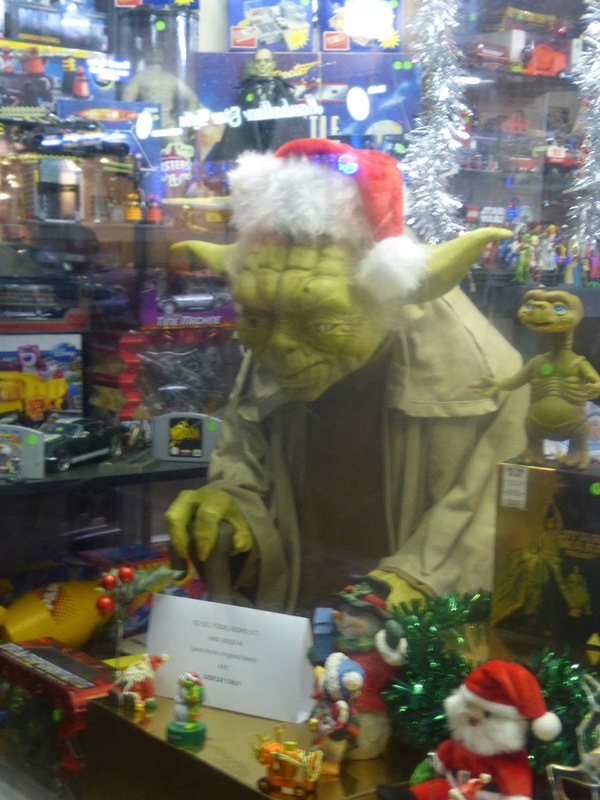 Early Thomas the Tank Engines, Star War figures, comics from the past. If you ever wondered where Power Rangers went, well they are here. Thunderbirds and dinosaurs for those boys who were content to line up cars that ran up and down the hallway or play at battles with plastic figures for hours. So many things that I cannot list otherwise I would go on forever. Lost for a present for a man, well this is the shop for you, for that 30th,40th,50th, 60th for whenever. For that man-boy in your life this is the perfect place. 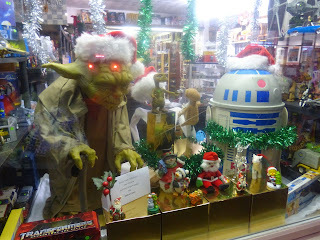 As for the window display, as a friend of mine would say 'Pure Bonkers'. But I say this in a good way, an affectionate way.This is not a corporate toy store, this is a store in homage to the child in all of us. You may even find the odd copy of a Princess Tina. Where else would you find it, but down that road that cannot be categorised without missing out an element; Camden Road. Here is a close up from the other direction.